The NBA continues to reach new levels of petty on a daily basis. Ben Simmons and Kendall Jenner are seemingly dating again, and the reality show star was in attendance for the Sixers game against the Cavaliers. 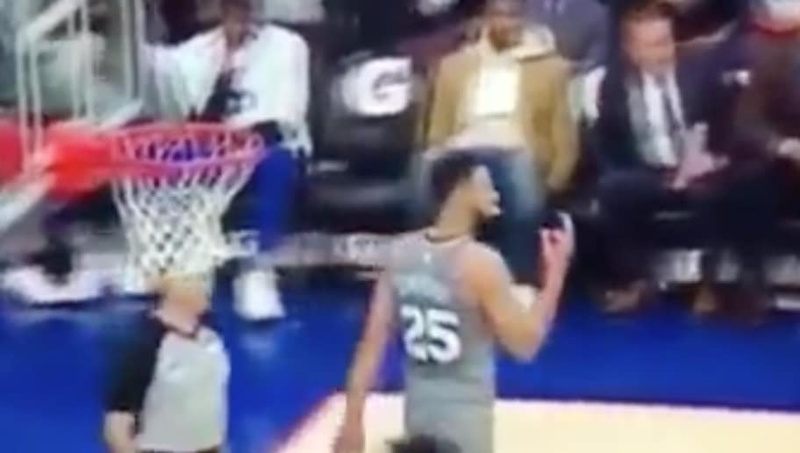 With Jenner sitting just feet away, Tristan Thompson trolled Simmons after making a free throw. Simmons didn't take kindly to that. ​Can we call this evidence of the Kardashian curse? Surely getting trolled by ​Thompson, who has his own Kardashian history, is a new low point for the Association but potentially the verification we need to ban Kardashians from all future NBA events. I mean really, do we need to read the above article to realize this just isn't fun anymore?